I am back today with a shabby chic style card using the MME Fly a Kite papers, some prima flowers, Dusty attic chipboard and leaf, lace and a dash of gesso. 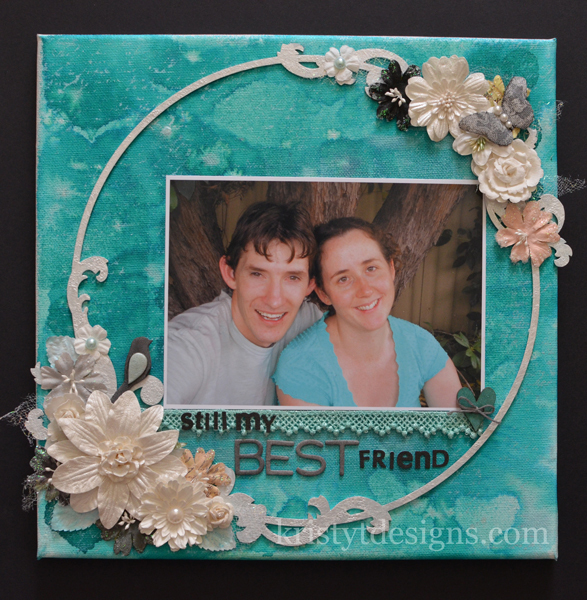 I designed the card around the sentiment panel that was from one of the patterned papers. I painted gesso lightly over the flowers, papers and card base. I applied the gesso more thickly to the Dusty Attic small flourish. 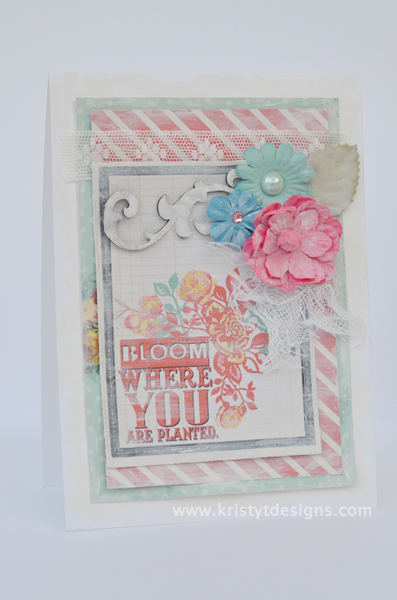 Some gauze, lace and a couple of pearls gave the card a bit more texture and dimension. I photographed the card with the white card background but in retrospect I think it would look better against a patterned paper background so it stood out a little more. Two posts in two days, and I had some time today to complete a tag and make half a card! 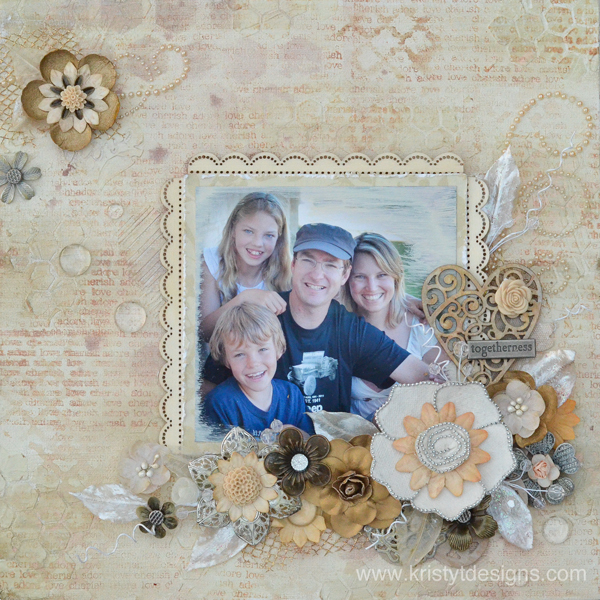 Today’s layout was made for the Get It Scrapped article about translating crafts onto your scrapbook pages. There are some great layouts by the creative team with some different techniques to try. I am still loving the whole tone on tone look and I frequently like to use white card as a base for my pages so for this layout I combined the two. I was inspired by the craft of quilting and created some panels using white card and some embossing folders by sizzix. I machine stitched on the panels (this is much easier to do before you adhere them to the 12×12 card) I didn’t want my background to make a perfect quilt so just staggered the panels when I adhered them. This adds interest but not so much as to detract from my photograph. The colour scheme was taken from the photograph and I added in a bit of gold to add to the christmas feel. I have had the little bells in my stash and they were perfect for this layout (they even jingle!) It made me feel slightly better about holding on to some things (I am not a huge hoarder though). I was also inspired by the craft of jewellery making and I happened to come across some wire that I have also had for a while. I decided to have a go at creating some embellishments for my layout and twisted the wire to create part of my title. This took a little patience but wasn’t too hard. I added a few gold beads to the christmas tree too. If you have any questions just leave me a comment. Supplies: Card: Artee; Flowers: Prima, Doodlebug; Wire: Unknown; Bells: Unknown; Alphas: Carolee’s Adorn-It; Glitter: Ranger; Paint: Ranger; Embossing Folders: Sizzix; Wood Veneer: Studio Calico; Border Strip: Teresa Collins; Cricut Cartridge: Lacey Labels; Beads: Unknown. Happy Monday :). 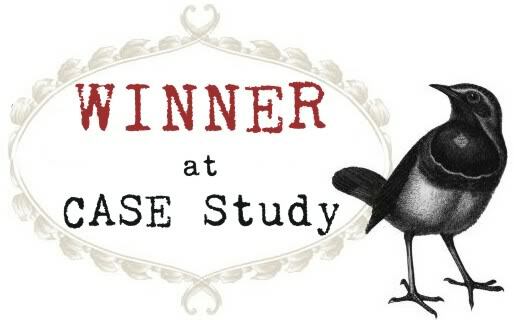 I am planning to play along with more challenges this year as I enjoy trying out different things, so today I created a card for the current Case Study Challenge. The muse for the month of December was Windy Robinson and you can see her original card on the CASE Study Blog here. I decided to make a white ‘on’ white card as I really like making these types of cards from time to time. I love the elegance and the simplicity of the look. I was lucky enough to get some new Poppy Stamps metal dies for Christmas so I had to give them a go. I think these leaves will be making an appearance on lots of future projects, both cards and scrapbook pages. I used one of my favourite white flowers (which is by Prima), some lace/ribbons and some clear sparklets to match with the flower centre. I used the We R Memory Keepers Corner Chomper – Deco/Stub to replicate the shape on Windy’s card. I also added some gyprocking tape to give the card a bit more texture so it didn’t end up looking too plain. It is one of favourite ways to add texture without it becoming too distracting/or too much of feature of the card. The tape just seems to fade into the background and is super easy to work with. You can get it from Bunnings (a hardware store) and it is pretty cheap too. 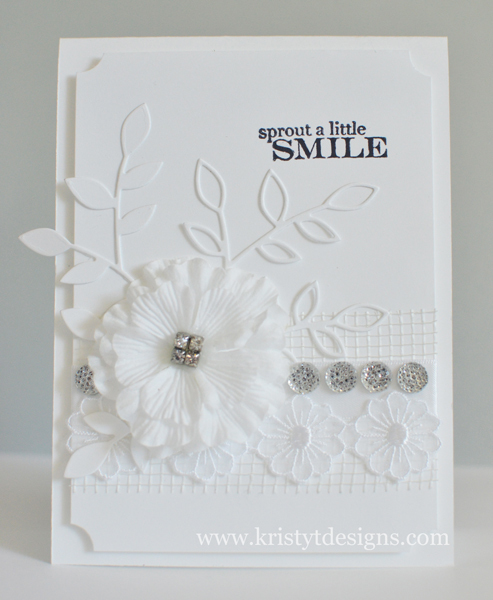 Supplies: White Card by Artee, Prima Flower, Flower lace, Gyprocking tape, Archival ink – Jet Black, White Satin Ribbon, Poppy Stamp Dies – Lorelai Leaf and Lorelai Leaf Outline, Pink Paislee Sping Jubliee Stamp Set, Kaisercraft Sparklets. I have been working on this canvas for a week or two, along with my other projects on the go. I am finding it is good for my creative process to be doing a couple of things at once and since sometimes you need to wait for things to dry (or get out the heat gun) that it works well. I have enjoyed making things with canvas frames for awhile now and made canvas blackboards for my kids rooms a couple of months ago. I am also in the process of framing some of my scrapbook pages to go on display in our hallway. So it was only natural that I decided to make a new canvas to celebrate that my husband and I have been married for 10 years in October. We are planning to get some family photos done and so I have designed the canvas so I can remove the photo when we have one that is more up to date. This photo is just tucked underneath the chipboard frame which keeps it in place. I am also loving playing with stencils, paints and spray mists including my dylusions spray inks (you can see a scrapbook page I made about six months ago using dylusions spray inks here). This is the first canvas I have made just spraying directly onto the canvas but I loved it and will definitely be doing some more art works for our home. The background that I created is a bit splotchy looking, which I don’t mind but if you want to use stencils and mist on canvas, I would definitely recommend drying each layer of colour in between if you want a more defined look. I also flicked some Calico Shine on the canvas and used the perfect pearls mist. When everything was all dry I stamped the text stamp with pearl paint (which I am not sure shows up on the photo). The frame is by Dusty Attic and was painted by dabbing on the pearl paint using the paint dabber – this gives it a really lovely texture. The flowers are mostly prima and some were sprayed with Calico Shine. I wanted to keep the colours of the flower fairly neutral since the background is so bright. 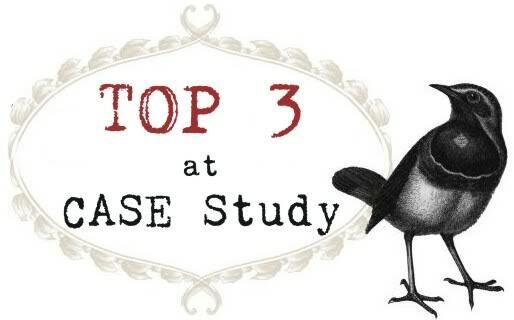 If you have any questions about this project, just leave me a comment.